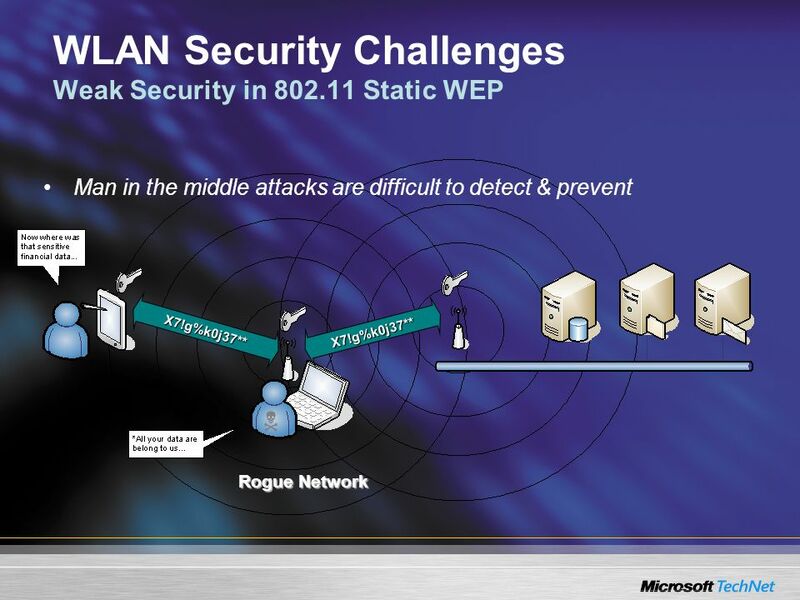 4 WLAN Security Challenges Weak Security in 802.11 Static WEP X7!g%k0j37**54bf(jv&8gF… X7!g %k0j 37**54 bf(jv &8gB) £F..
6 WLAN Security Challenges Weak Security in 802.11 Static WEP Static WEP key easily obtained for encryption / authentication X7!g%k0j37**54bf(jv&8gB)£F.. X7!g%k0j37**54bf(jv&8gF… X7!g %k0j 37**54 bf(jv &8gB) £F..
10 VPNs More Cons –No protection for WLAN –Bottleneck at VPN devices –Higher management & hardware cost –Prone to disconnection Yet more cons! 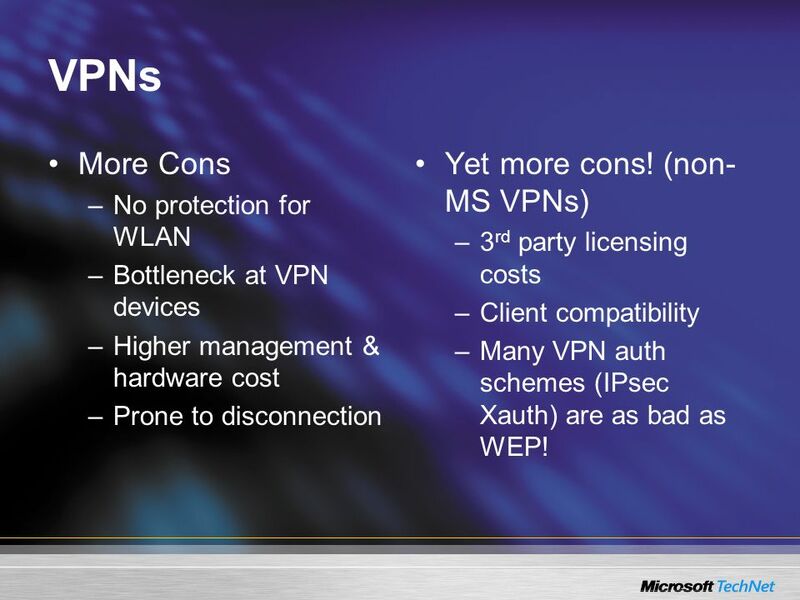 (non- MS VPNs) –3 rd party licensing costs –Client compatibility –Many VPN auth schemes (IPsec Xauth) are as bad as WEP! 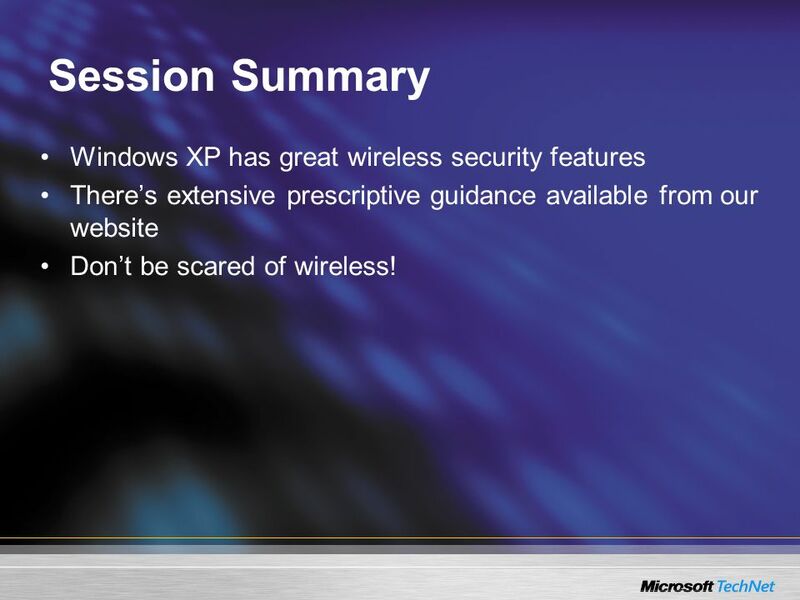 14 Session Summary Windows XP has great wireless security features Theres extensive prescriptive guidance available from our website Dont be scared of wireless! 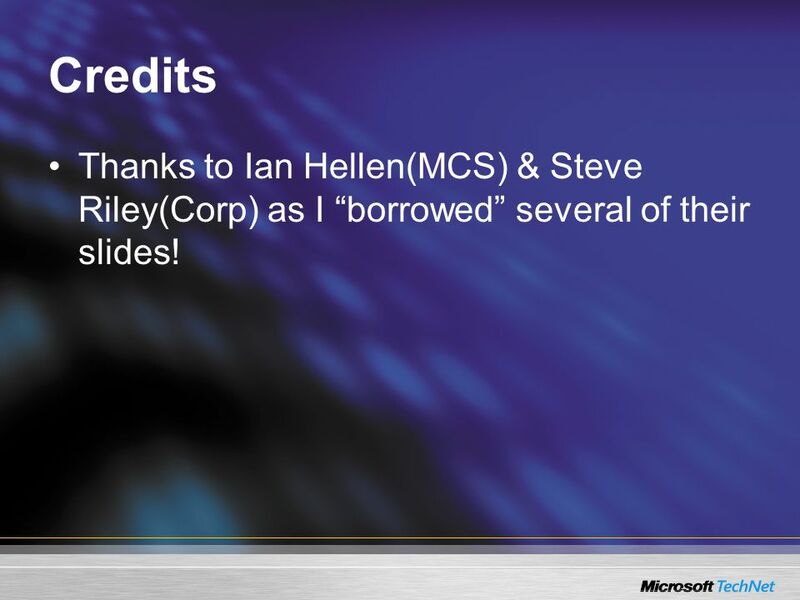 17 Credits Thanks to Ian Hellen(MCS) & Steve Riley(Corp) as I borrowed several of their slides! 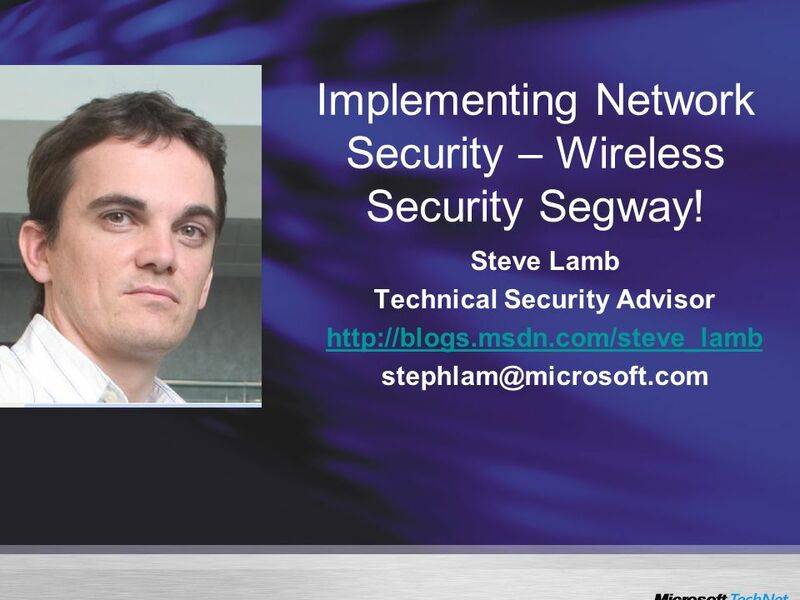 Download ppt "Implementing Network Security – Wireless Security Segway! 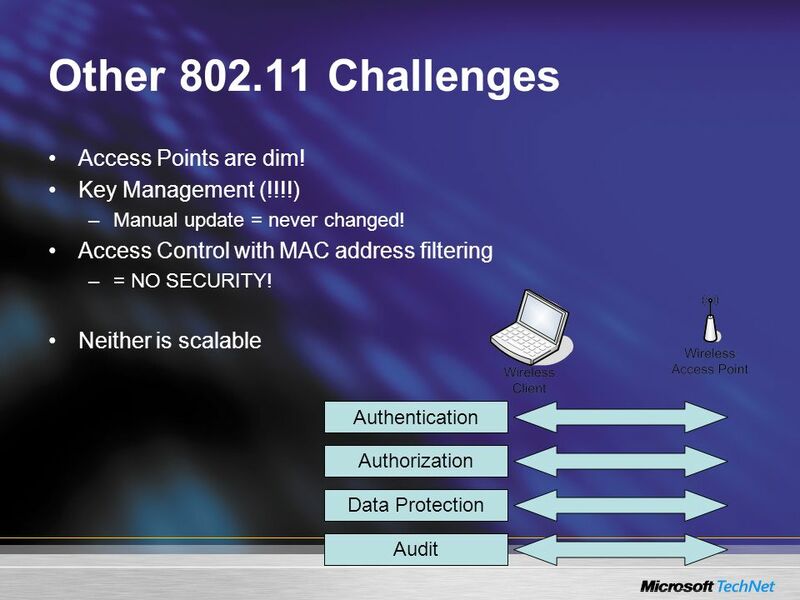 Steve Lamb Technical Security Advisor"
802.1x What it is, How it’s broken, and How to fix it. 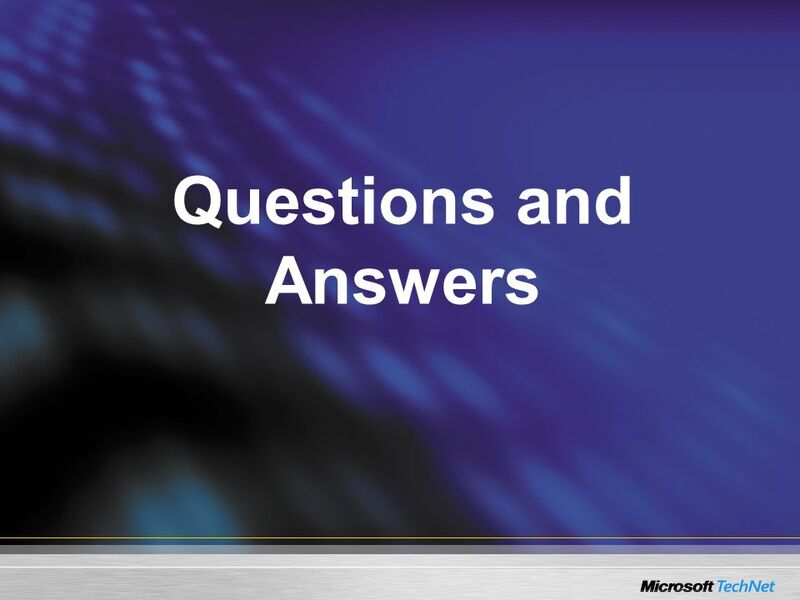 Securing Wireless LANs A Windows Server 2003 Certificate Services Solution Ian Hellen – Principal Consultant Stirling Goetz – Principal Consultant. 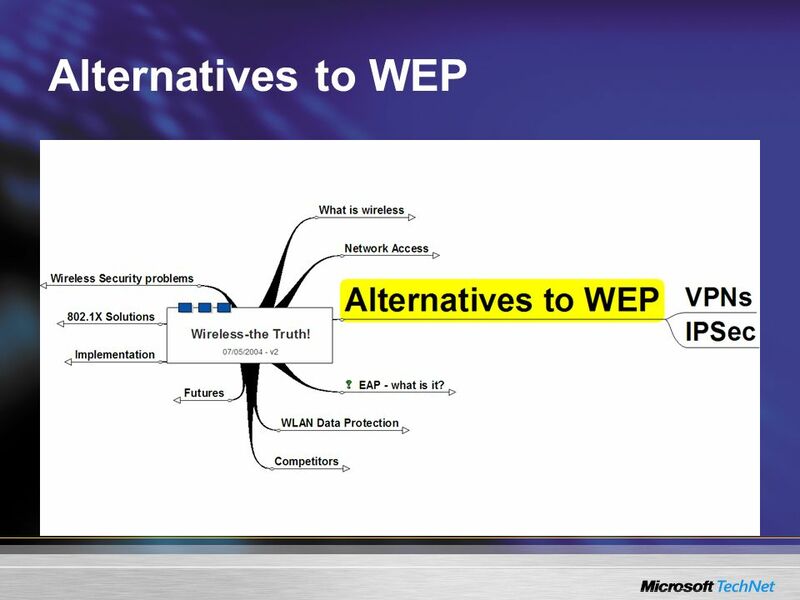 Licia Florio EUNIS05, Manchester 1 Eduroam EUNIS Conference, June Licia Florio. 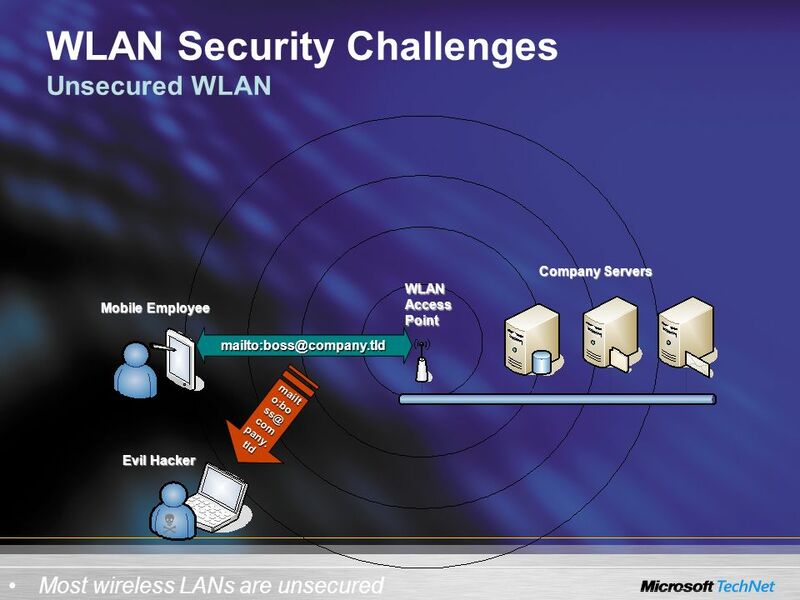 Wireless LAN  Setup & Optimizing Wireless Client in Linux  Hacking and Cracking Wireless LAN  Setup Host Based AP ( hostap ) in Linux & freeBSD  Securing. 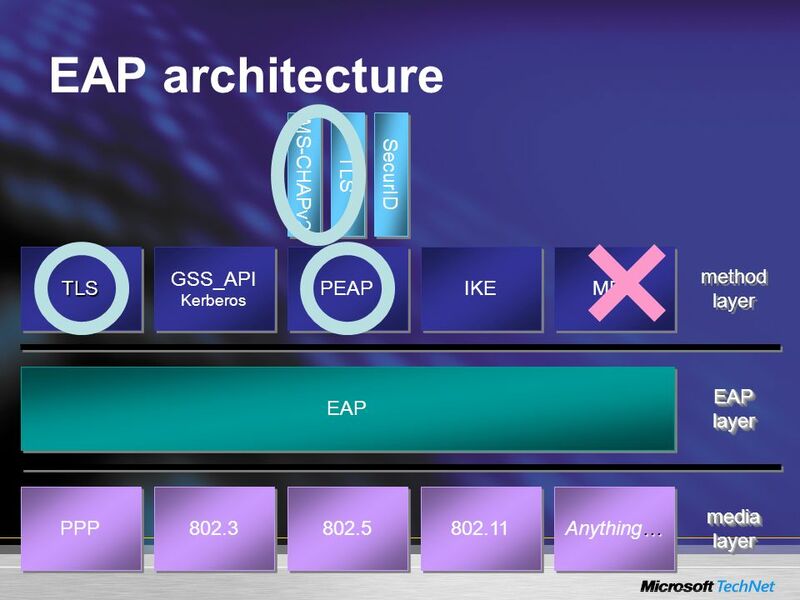 PEAP & EAP-TTLS 1.EAP-TLS Drawbacks 2.PEAP 3.EAP-TTLS 4.EAP-TTLS – Full Example 5.Security Issues 6.PEAP vs. EAP-TTLS 7.Other EAP methods 8.Summary. 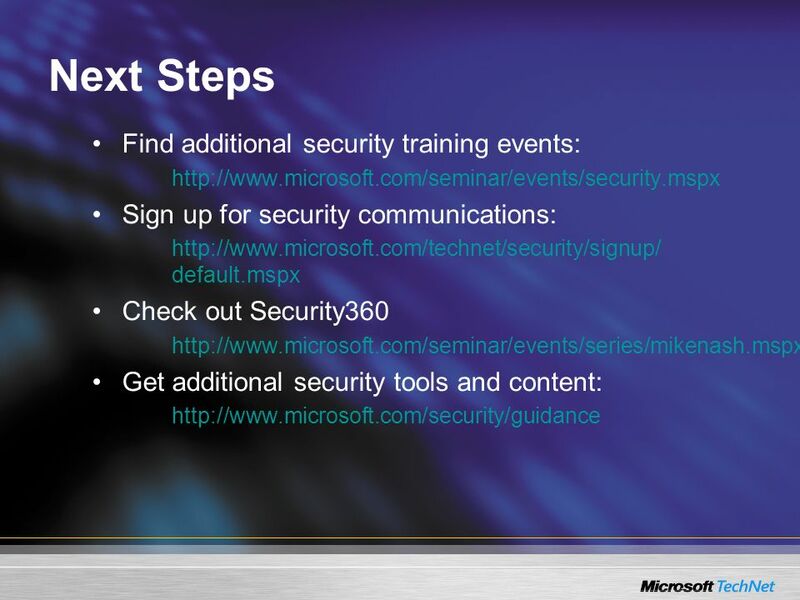 Information Security 1 Information Security: Security Tools Jeffy Mwakalinga. 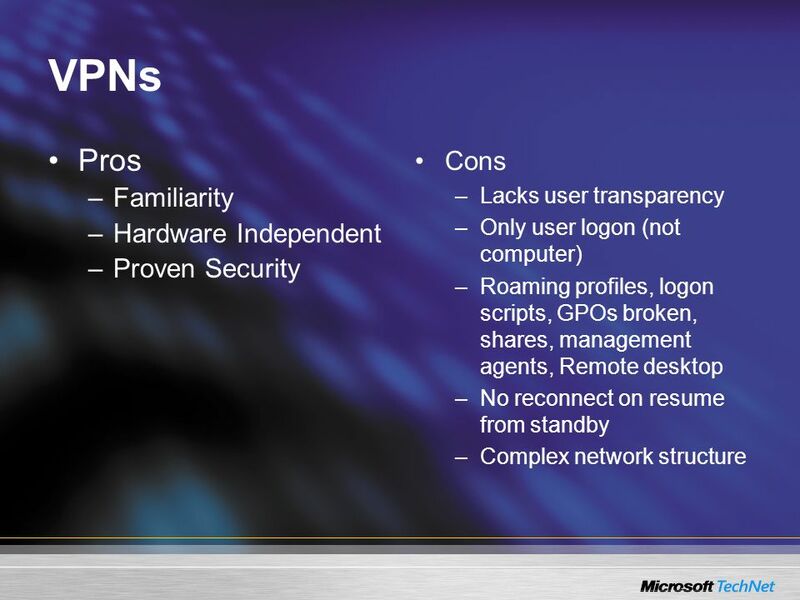 How secure are b Wireless Networks? 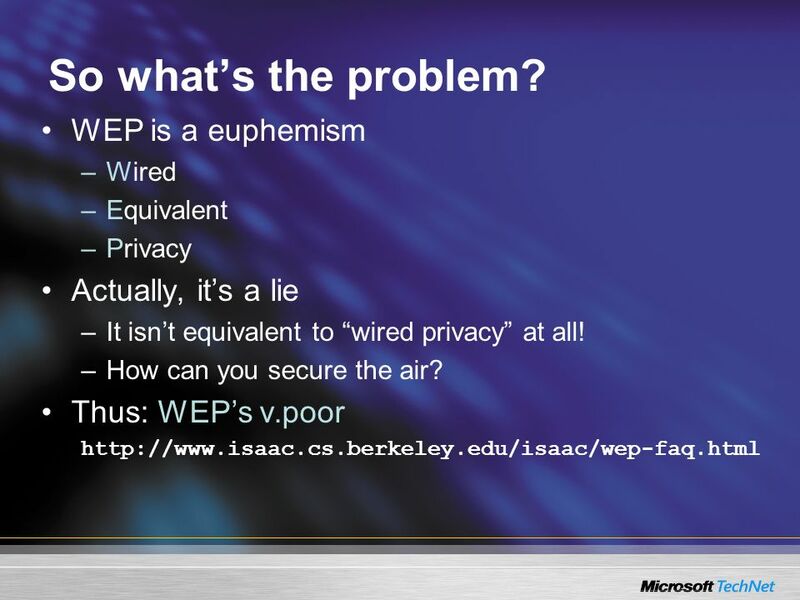 By Ilian Emmons University of San Diego. 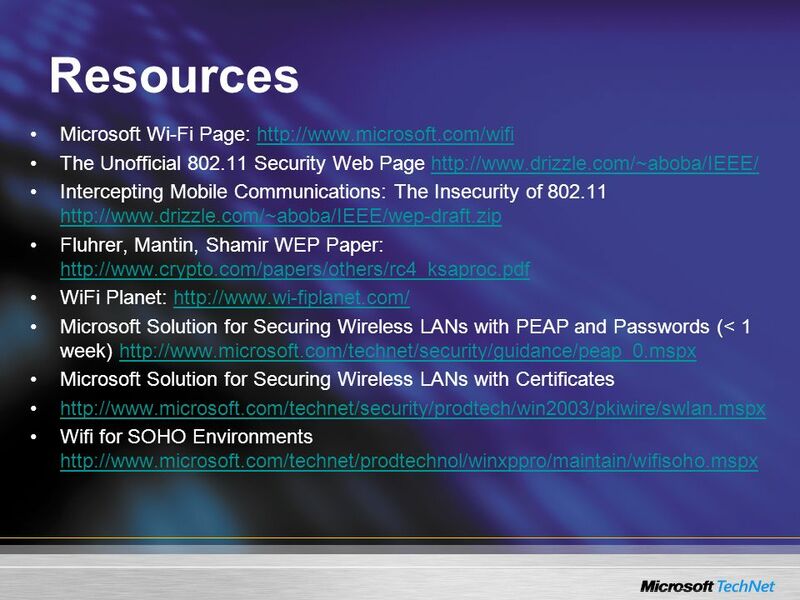 CSG357 Dan Ziminski & Bill Davidge 1 Effective Wireless Security – Technology and Policy CSG 256 Final Project Presentation by Dan Ziminski & Bill Davidge. 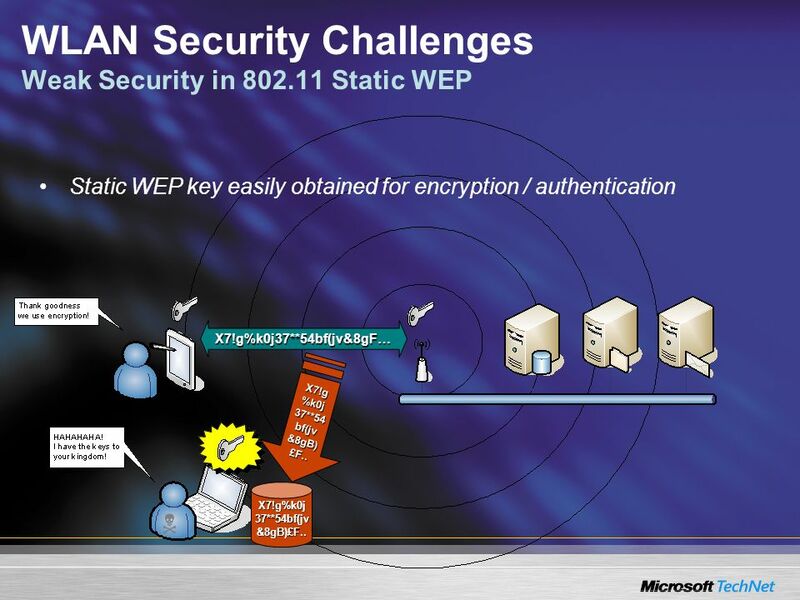 Implementing Security for Wireless Networks Presenter Name Job Title Company. 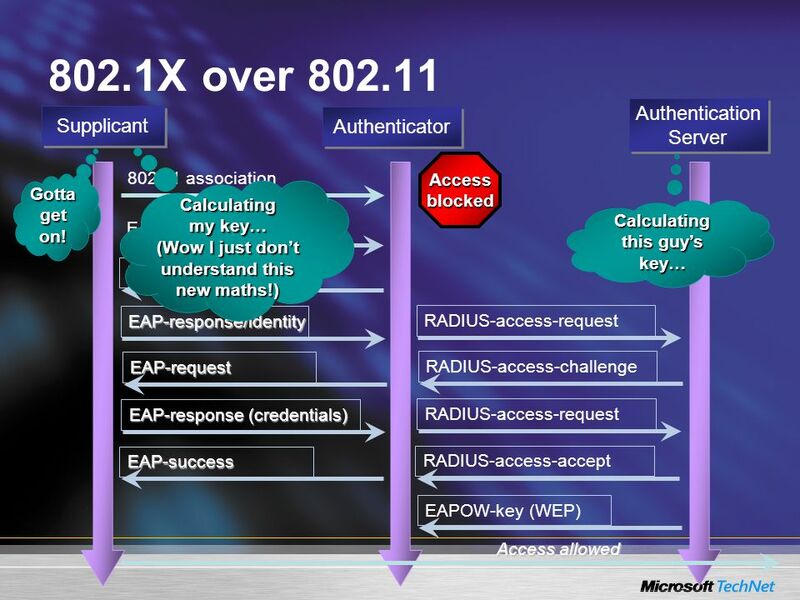 1 © NOKIA MitM.PPT (v0.2) / 6-Nov-02 / Kaisa Nyberg (NRC/MNW), N.Asokan (NRC/COM) The Insecurity of Tunnelled Authentication Protocols N. ASOKAN, VALTTERI. 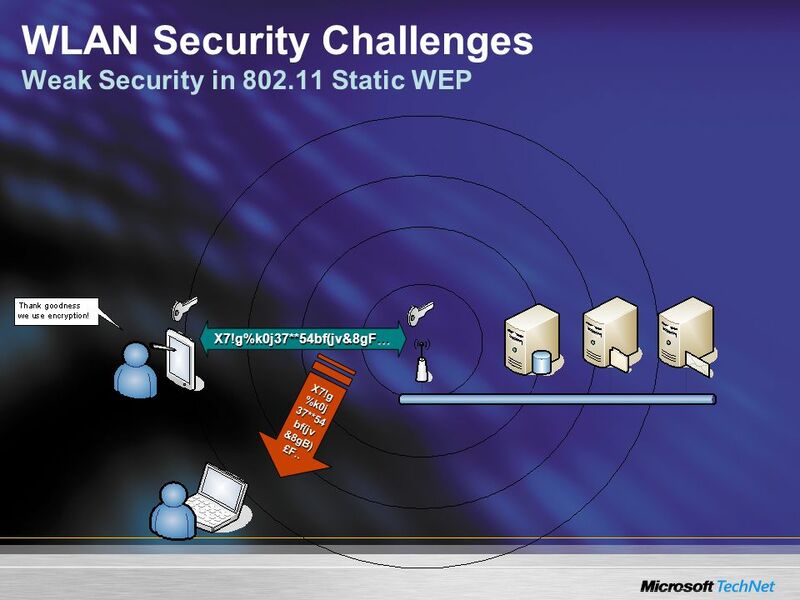 Demonstration of Wireless Insecurities Presented by: Jason Wylie, CISM, CISSP.